It seems that anything with the SEN tag is more expensive. Yes, the products need to be strong, supportive, and fit for purpose but why so expensive? It also appears that most products designed for SEN schools look old, cumbersome and, to be honest, rather ugly. When Don’t Lean Back Ltd approached the Max 2 chair it was to design a mainstream chair that looked stylish but with all the durability and practicalities of the best educational chairs in the world. SEN schools were always a major consideration in this design process to give extra support to children’s backs as well as the anti-tilt frame to avoid pupils rocking on their chairs. 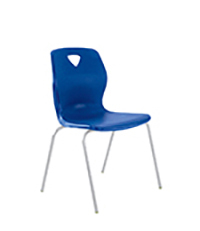 The Max 2 Chairs are beautiful products and add real, measurable value to any SEN schools. Adding a canopy to your school can bring much more than just protection against the weather, CambridgeStyle Canopies is at the forefront of providing the solutions. New facilities for staff & students alike include new outdoor covered walkways and areas for learning/play/parents waiting areas and new modern cycle storage solutions. Extremely proud of our reputation for highest quality of both products & service at very competitive costs to our clients, why not see how we can help you with new facilities. Much of the world comes in unbreakable units. You can’t really have half a person (unless you work in a mortuary and really need to do the odd bit of dissecting). You can’t have half a football either – or at least not meaningfully. And you might imagine that the same applies to half a minibus? But strangely enough, the notion of half a minibus is not only practical, but it is one that hundreds of schools now utilise. Not surprisingly large numbers of schools have a situation in which their minibus is booked to overflowing, meaning that some sports events, such as away fixtures and the like, become hugely difficult operations to arrange. You know you can’t possibly justify another minibus, because you only have this problem a few times a week, but you also know that if you could have a minibus for these additional occasions life would be so much easier. Growing numbers of secondary schools are leasing an extra minibus (meaning that there is no initial large payment required – just a monthly lease fee) and then sharing it part time with one or two other schools. There are many ways in which this can be done, but sharing with a local feeder primary school is one of the most popular. In this way the cost of running the minibus is shared, and each school knows exactly when it has the extra bus and arranges events around it. Better still, there is no issue about the cost of repairs, servicing and the like, since leased minibuses come with all the arrangements and all the costs of servicing and repairs built into the lease. If you have not leased a minibus before, or not thought of sharing one before, probably the best way forward is to give me a call and I can talk you through how it works – not least because a fair number of schools are now involved in shared minibus leasing projects, so we have a lot of experience in helping to set up such a project. But if you want to take a look at who we are and what we do before you call, you’ll find more information about leasing at www.minibusleasing.co.uk. Ofsted highlights low-level disruption. But it is still missing the fundamental question. Ofsted has been commenting on the topic of low level disruptive behaviour since at least 2005 – and quite possibly before. And what is interesting is the lack of discussion as to why low-level disruption happens. What is the cause? This is not a remote academic question, because normally understanding the cause of a problem is the key to solving the problem. In this case, however, it seems Ofsted thinks not. The government office instead focusses on the notion that some teachers feel senior leaders do not understand what behaviour is really like in the classroom – and they cite PISA research which backs up this view. In most organisations, if a problem exists and is not being solved, the issue of the cause quickly becomes the focal point. Find out why and then address the issue. Indeed it can be argued that one of the great problems with approaches to discipline is that they are based on ideas and beliefs rather than practical experimentation which might establish whether a theory works in terms of reducing disruption and enhancing learning. Even when such experimentation does exist, it can sometimes be the case that those who determine educational policy may set it aside when the experiment’s results don’t quite match their established political beliefs. When it comes to behaviour and discipline there is research, the findings of which have never been countered, which shows that the key factor in determining the behaviour of pupils is not the syllabus of the school, parental expectations, nor indeed the socio-economic background of the students. Rather it is the view of the staff within the school. In fact, where different staff hold different views on the issue of behaviour and discipline, then behavioural issues increase. In short, when the staff genuinely agree to, and subsequently adopt, a unified policy then the problems vanish. What makes this finding so important is that first, it puts the power to change pupil and student behaviour totally in the hands of the school and its managers, and second, it assures us all that change is possible. This is the starting point for the volume, Improving attitudes, managing behaviour and reducing exclusions, a book that builds from the original research which proved this finding and which applies it to contemporary schooling. The findings of the original research reviewed in the book are very clear: schools improve when all those in the school decide to improve the school, not because of government initiatives, Ofsted, or what anyone else tells us to do. For, once a school has its own unified policy, and is able to project that policy to parents and students as an approach to which all staff agree, the unity of purpose of the school is established. The key issue thus becomes the implementation and maintenance of the policy every day of the school year. And it is the implementation of this approach that “Improving attitudes” describes. 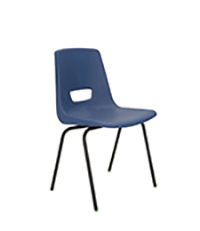 KM classroom chairs are available again…..
For many years KM Furniture were producing what were arguably the most popular classroom chairs in the UK. However, two years ago KM Furniture went into liquidation. It was a sad day as it meant that many people in and around Chesterfield lost their jobs; and schools and colleges were unable to replace their existing KM chairs with the same models. Now for the good news…..
Two years later KM chairs are available again AND they are still made in the UK. 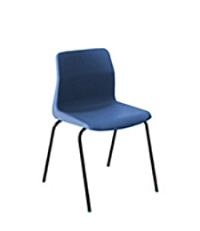 The most popular KM chairs, the P3, P6 and P7, together with the NP stool can be obtained from Central Educational Supplies Ltd…usually within a couple of weeks (although delivery lead times are likely to be somewhat longer during the summer). or phone 020 7515 1797 and ask to speak to Martin Evans who will be pleased to assist……..
Every school who books a free CD recording project with us receives this 12 player djembe set worth £299, totally free of charge. You will receive six 40cm and six 30cm authentic, solid-wood djembe and as you can see, the djembe are of a good size and suitable for both Key Stage 1 and Key Stage 2 children. The djembe would be a great addition to any hand percussion you may already have and assist in teaching rhythm, playing as an ensemble as well as other areas of the Music National Curriculum. Plus if you were to ever host a drumming workshop at your school, you can use your own djembe. Our professional recording engineers come to your school with studio recording equipment, and spend the day recording your CD with you, for free. Our Interactive Recording Guide shows the huge educational benefit in the project for the children, and makes planning the project really simple with everything set out for you. All you need to do is decide what you’d like to include on your CD – a performance or event, instrumental groups, the whole school singing, each class singing their favourite song or even your drumming. The CD is a treasured memento to be proud of, a great showcase for the school’s talents, and the recording is an amazing day for the children. You can even raise funds for your school from the sales of your CD. I have included some recent feedback from schools at the end of my email so you can see what other teachers have thought of recording with us. The summer term is very popular for schools who want to record school performances and it is of course the last chance to record your year 6. Your CD could be as simple as each class singing their favourite song, along with any instrumentalists or whole school songs. So you don’t miss out on this fantastic djembe set, it’s important to note that you need to record your CD in May, June or July. That leaves plenty of time to plan your recording but you’d need to register your interest with us soon so we can get the ball rolling. If you’d like more information, you can give me a call or drop me an email and I’ll forward you our Interactive Recording Guide. I can also check the availability of any particular dates you may like to record your CD. “Our experience with My School CD has been nothing short of amazing and the whole school was thrilled with the outcome. We received excellent support and advice and the recording itself was extremely satisfying. We felt like real professionals and the quality of the finished CD was superb. We also received a lovely set of African percussion as a gift from My School CD, which has been very well received by the children”. Joe George, Astwood Bank First School. “We are so excited that our school CDs are here! They’re being played in all the classrooms, and they sound amazing – thank you very much for helping us so much in this exciting project. Thanks also for your help and calm efficiency along the way. Parents and children are delighted with the CDs!” Jenny Griffin, Ashley Down Primary School. “Thank you for all your help with our school CD recording. The children had a great time recording. It has really helped to raise the profile of music in our school.” Vicky Lambert, Compton C of E Primary School. “Thanks so much for the wonderful CDs that arrived! We love them! The whole process has been brilliant and you’re fantastic to work with.” Laura Brereton, Tufnell Park Primary School. Edventure Playtime Games has devised a Football Multibuy Pack containing 12 soft small footballs suitable for young children. by post to Edventure Ltd, Hargreaves Business Park, Hargreaves Road, Eastbourne, East Sussex, BN23 6QW. Payment, either by credit card or cheque, is required with your order. Quote HH0515 when you place your order and we will deliver it for FREE! What Makes a Good DNA Electrophoresis Tank for Educational Use in the School Lab? From the moment we started to run biotechnology event programmes including DNA electrophoresis in schools, we were faced with a problem: what DNA Electrophoresis Tank would stand up to repeated school use week after week, year after year. Obviously DNA tanks for school labs need to be robust enough to be used time and time again in school lab conditions. They also need to be well supported by consumable DNA lab kits and prove to be cost-effective – both initially and in the long term. Equally importantly, they have to be able to run DNA gels as quickly and accurately as possible – to fit in with lesson times – while giving you total control over the power supply and tank as required. The quality of power fittings and the power supply used are important too, with as much power to be delivered as safely as possible in an easily controllable way to ensure the DNA gels run quickly but accurately. The way in which gel trays fit into the tank is yet another factor – especially if there is the ability to place more than one in the tank at a time. And you’ll need a simple, robust housing system. And finally the Gel-Trays need to be hard-wearing, with no leakage, and easy for students to use. In taking our STEM and science events around schools we have found the best equipment is the Edvotek manufactured DNA Electrophoresis Tanks – and that is what we use in schools. And now we are able to offer the complete range to schools at incredible prices. Thus we use the tanks when we work in schools, and we now sell the equipment as well. Which means we don’t have to do a sales pitch. Instead we talk about how these tanks work in school environments and very effectively demonstrate their potential during an event. If you would like to know more about our DNA Kits, please click here. Alternatively, please do call us on 01603 520866 or email us at events@thinkersineducation.co.uk. This resource will be useful for students in their revision throughout and at the end of their Geography GCSE AQA A course. It is based on what successful students have described as one of the most effective revision techniques they have used. It is an idea that has been further developed from observing a son’s keen interest in collecting football cards and it is fascinating to watch how children collect and make use of these cards and how these cards are stored. An extensive checklist of questions based on the specification and past exam questions for the popular AQA A geography specification has been produced providing a valuable planning and revision resource. It can be used by teachers and students to plan curriculum coverage and identify strengths and weaknesses. Answers to accompany all of these questions are designed to provide the sufficient knowledge to help students achieve an A* and cover the gaps in the resources provided by other authors, especially when it comes to more lengthy answers, but in particular for case study questions. There are also flashcards for all 372 questions. On one side of a flashcard is a question and on the other the answer. These cards are in PowerPoint and if you print off the documents back to back they are then ready to be cut up. There are a maximum of nine cards and answers on an A4 sheet. These resources are for the 6 most popular topics therefore providing the curriculum coverage needed for the AQA A specification. Once purchased, the CD can be freely copied and networked throughout the school! To see sample pages please email info@classroom-resources.co.uk quoting the order code H6043. How can schools deliver a manageable computing journey at Key Stage 3 when there are so many free tools to use? In the run up to the launch of the new computing curriculum, as well as after it was phased in, there was a collective intake of breath from teachers up and down the country as they absorbed what it all meant. For many teachers the notion of writing and debugging programs or explaining simple algorithms was well beyond their every-day experience and certainly not in their training. Thankfully at the time there was already a string of free web based tools out there to use and a couple of these have proved really successful like Scratch, Kodu & Minecraft. With all the free tools that some school enthusiasts started to champion it soon became apparent that while they were free there was little if any support or influence on how products developed – how could there be if the tool was free? The result for some schools has been a bird’s nest of logins for different tools, varying user interfaces, unreliable work saving and patchy levels of school service. Factors like these undermine teacher confidence who just want it to work. Schools love saving money but when the cost is not having a reliable learning environment then its surely too high. The mission at Blippit has been to get key elements of the computing curriculum under one roof and to help develop curious learners through authentic learning – even to the point of publishing project apps made with our App Maker (with the teacher’s approval) on our free app store, Planet Blippit. Blippit IO, through its powerful and open-ended tools, give teachers the control they need to deliver a tailor made curriculum for their school while not compromising on promoting computational thinking, logical reasoning and (unexpectedly) writing in the wider curriculum. To try Blippit IO for your school just visit us here and if you decide that Blippit IO would extend and serve your schools’ computing curriculum needs you can upgrade here. If you find that your school has been registered already, or are given a message that suggests this just contact us & we’ll sort it out for you.